09:30. I moved a few weeks ago. Apparently I didn't end up in a nice neighbourhood: murder in the garden happening right now. 16:45. Incredible: I first noticed the murderer on location at 0900 this morning, but he only just now (16:30) left the crime scene. Kept chopping away at victim for many hours, undisturbed. Meanwhile, the family of the victim was forced to watch this horrific scene from a distance. 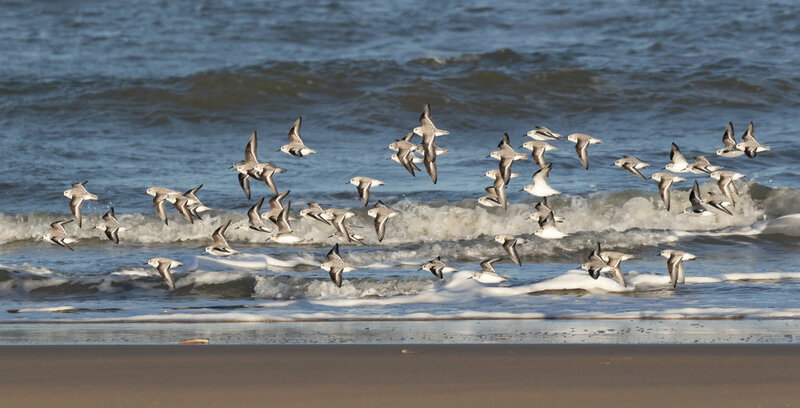 With my move back to the north of The Netherlands come more birding trips to the northern coast as well. Today I spent half a day at the sluices of Lauwersoog, enjoying a proper north-westerly storm. Whilst the sight of all MSC Zoe rubbish floating past and accumulating along the styrofoam-covered dikes was quite depressing, we still had a very nice day of seawatching. Highlights were the nice numbers of Little Gulls, a Northern Fulmar and Black-throated Diver, incredible numbers of Stock Dove (571! ), a Guillemot, but above all: the first-ever documented record of an Arctic Tern in January in The Netherlands! The 2cy Arctic Tern spent considerable time foraging in the harbour area, came quite close but in 8 Bft winds it is incredibly hard to use manual-focus and keep the camera steady, so the pictures are less than perfect. Although less than perfect, only 1 picture is necessary of this 2cy Arctic Tern to nail its identification. Large groups of Stock Dove, up to 160 birds were struggling against the winds along the leeward side of the sluices. Although we did not see where these birds were going to, we assume they roost somewhere in the vicinity. 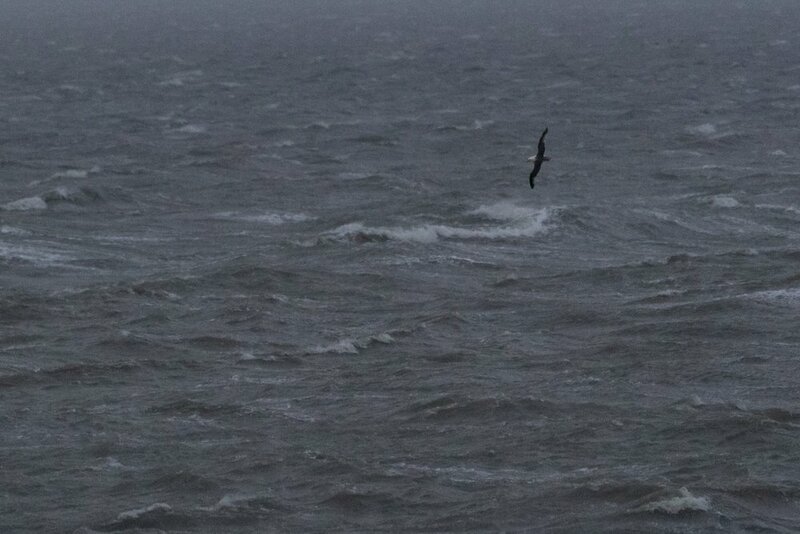 Crappy post-sunset shot of a Northern Fulmar passing by the sluices. Quite a rare sight at Lauwersoog, as this was the only bird seen in the last 15 months. Most of the month December conditions were mediocre. Unfortunately the winter started slow with very little movements of Guillemots and gulls, so there was no reason to count regularly. The first proper day was the 25th, when 19 Velvet Scoters resulted in a new record count and a Great Northern Diver was a nice second highlight. On the 29th I could enjoy in-flight views of almost all Dutch Grebe species, when I saw 400 Great Crested, 1 Red-necked, 2 Black-eared and 1 Slavonian Grebe flying south. Additionally, a European Shag was foraging close to the beach and my first for the region. On the 31st we had quite a nice species diversity with a Great Skua, loads of gulls and Northern Gannets flying back and forth. Not a lot of real migration, but definitely a joy to count. Fellow counter Rob Berkelder has written an excellent report about another remarkable autumn season for De Vulkaan, which covers also the period I was still in Georgia. If you know Dutch, it is definitely worth a read!